When I find myself in a rush or I just don't feel like putting much effort into an outfit, I reach for neutrals. 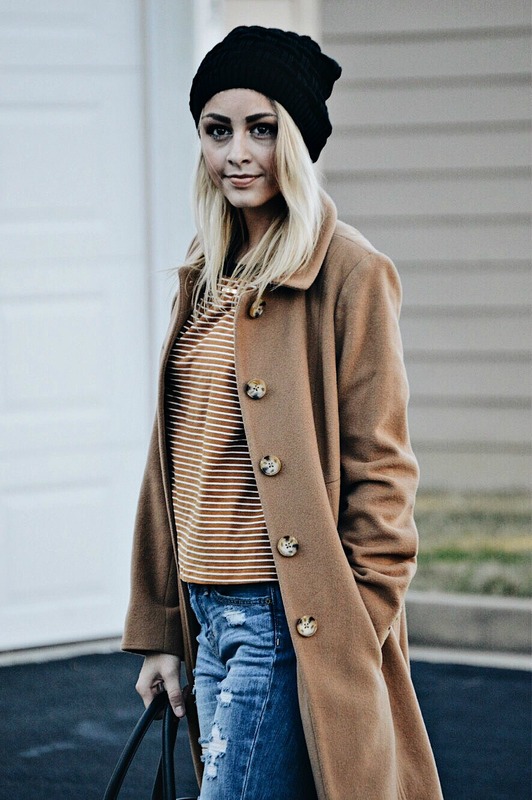 Mixing taupes, blacks, camels and creams always makes for a simple, yet put together look. 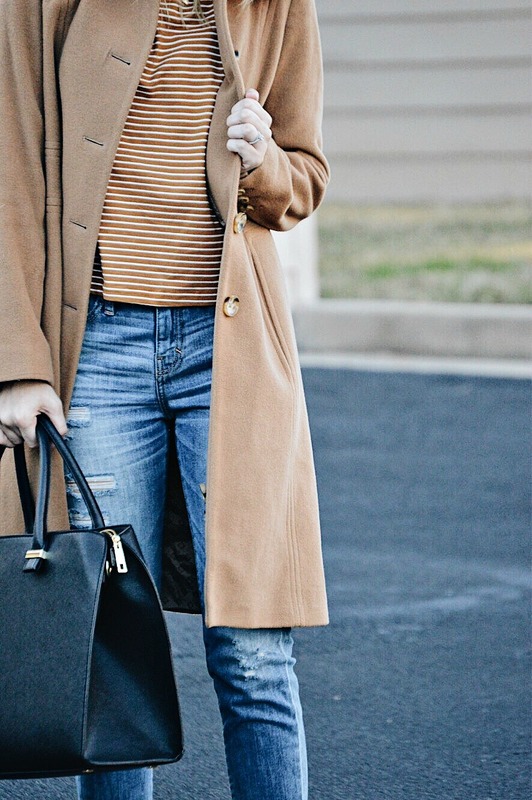 Yesterday I had to run some quick errands so I slipped into this comfortable striped camel tee from Romwe (under $12!) and paired it with some distressed boyfriend jeans. 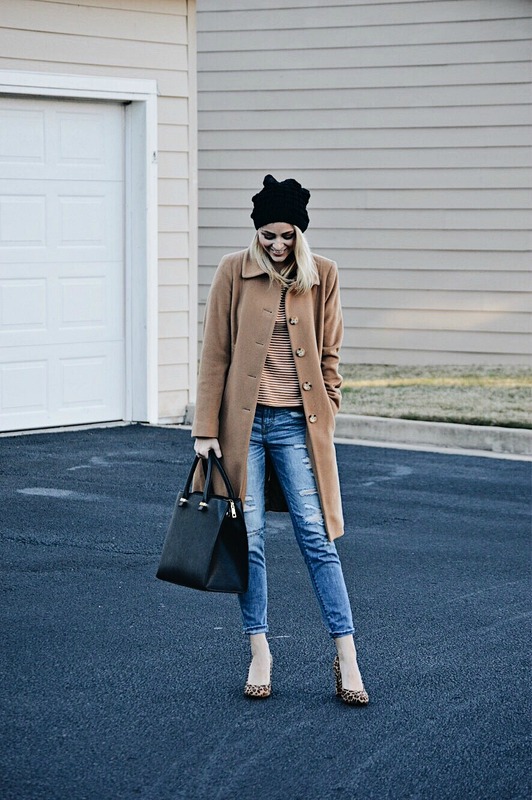 My go-to camel coat, a black beanie and some sassy leopard pumps helped give this look the extra boost it needed.